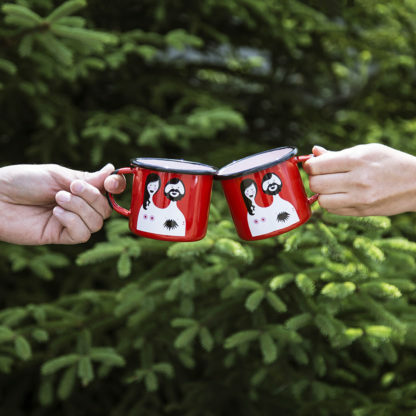 These Blossom & Bill mugs are hand-crafted and manufactured in Poland in a family run factory. 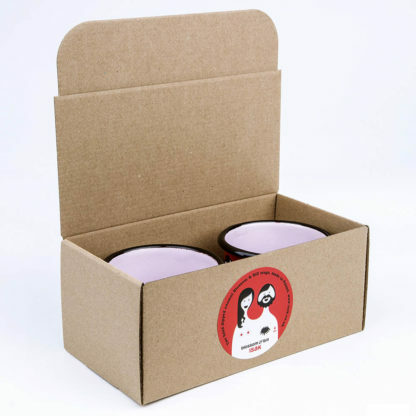 The mugs are fired in very high temperatures and we use a double dipped enamel layer on both rim and handle to ensure its strength and durability. 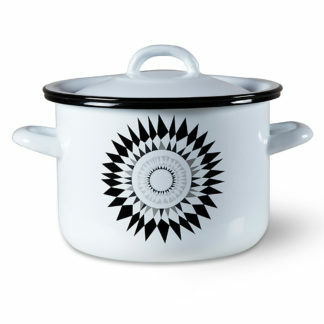 Our ceramic enamel is dishwasher and oven safe up to 180°C. 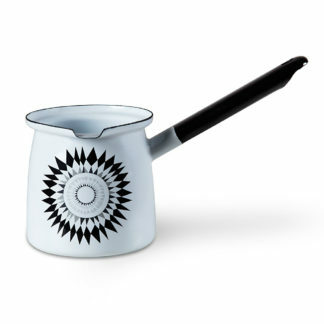 Enamelware is glass fused onto heavy-gauge steel. 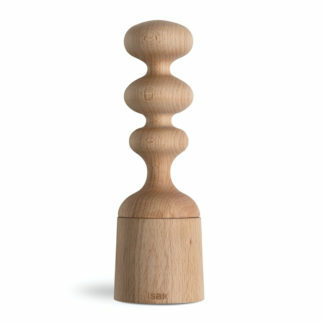 This makes it smooth, durable and chemical resistant as well as great at holding brilliant, long-lasting colours. They are the highest quality enamelware that can be found on the market and are packed in two’s.Blossom and Bill are featured on both back and front of each mug and the insides of the mug are pink. Size 8 x 9cm / 3 x 4in. Capacity 5dl / 170z. 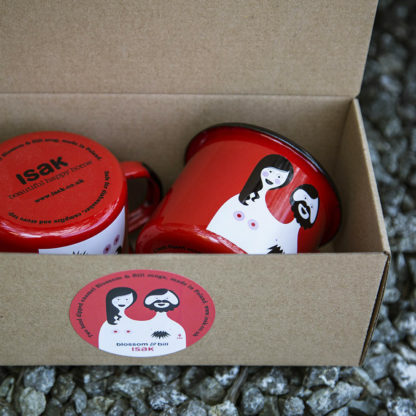 Blossom & Bill are design vikings, explorers, warriors, merchants and lovers, and design ambassadors for Isak. This is how their story started: The campfire’s embers pushed back the chill-lick of the late evening’s air as Blossom & Bill first kissed. The gaping vastness fell over them and the only sounds were the crackle of logs on the fire, the flop of a fish in the lake and the press of a kiss. Their journey continued, they grew wiser and older and their travels took them away from Sweden and Europe to South East Asia where they now still light fires in the darkness of nights and spends whole evenings talking about the future. There was one thing missing from these fire lit nights. 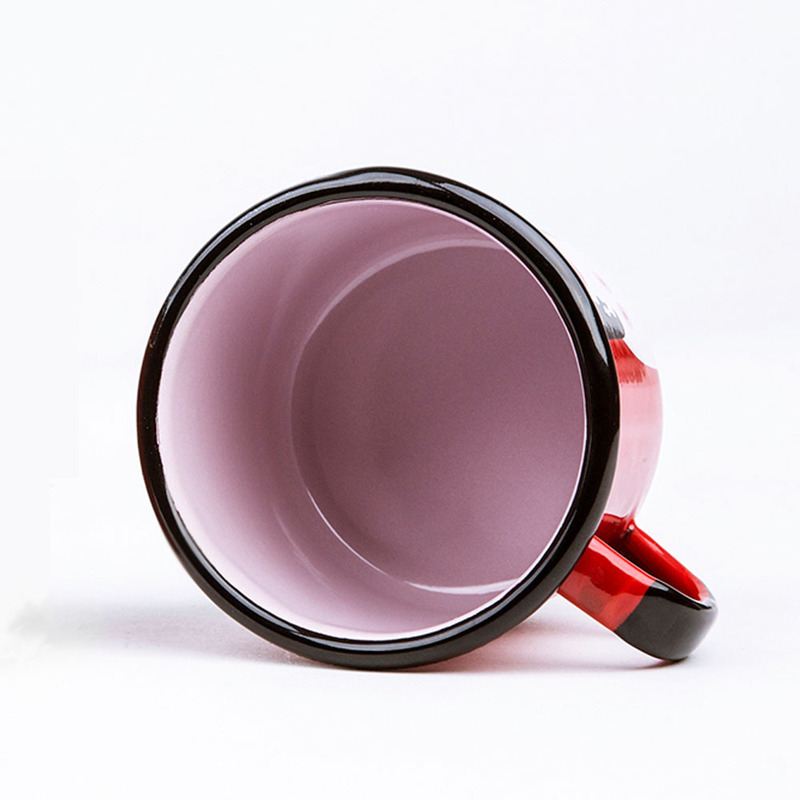 A mug that could be brought along, strung to a back pack or just tossed in a bag. 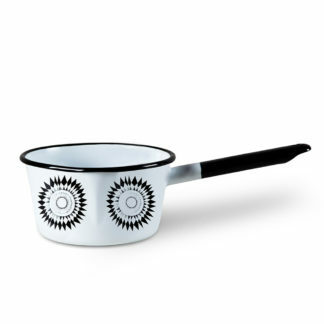 For hot chocolate or coffee, red wine or a warming soup. Here it is, the Blsoom & Bill enamel mug. Say cheers!